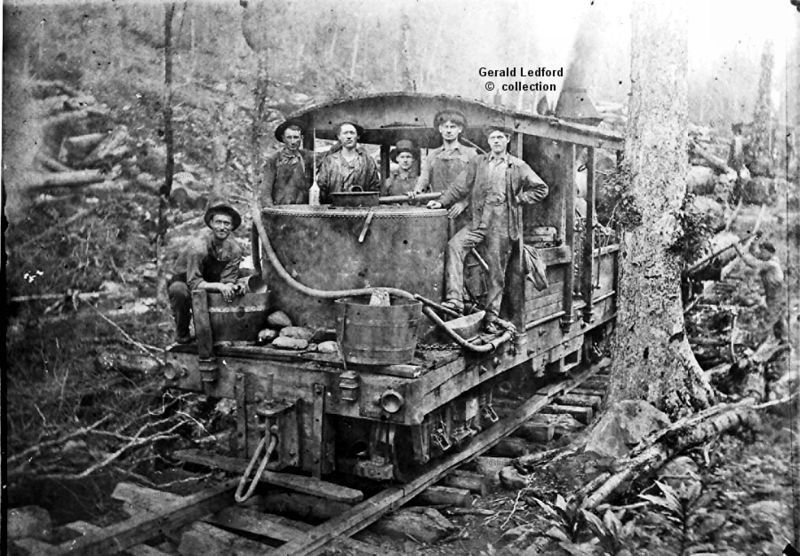 The locomotive was named "Eva Lee"
The railroad, owned by Great Southern Lumber Co., was located near Bogalusa, Louisiana. 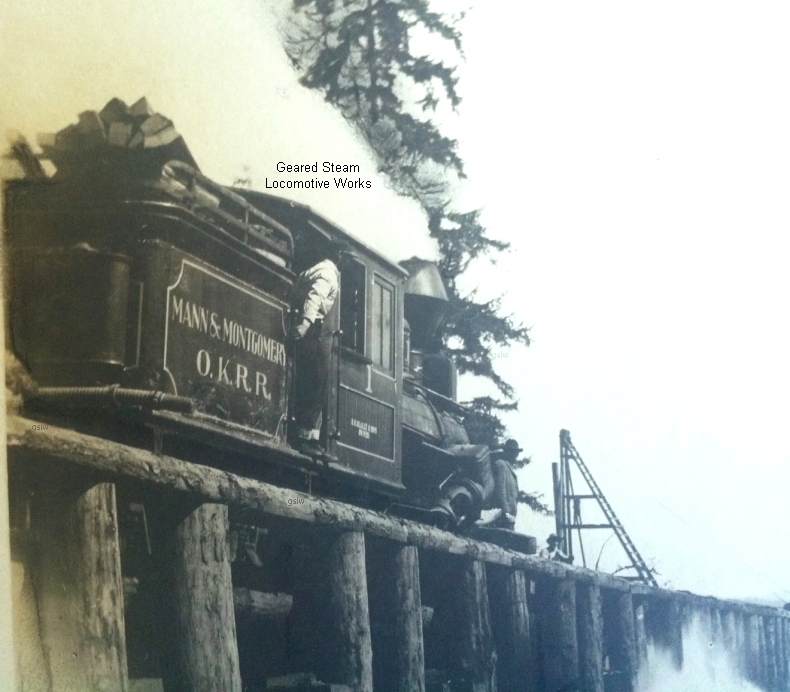 The photographer's "on photo" caption states the Banner station is the world's most northerly railroad station. 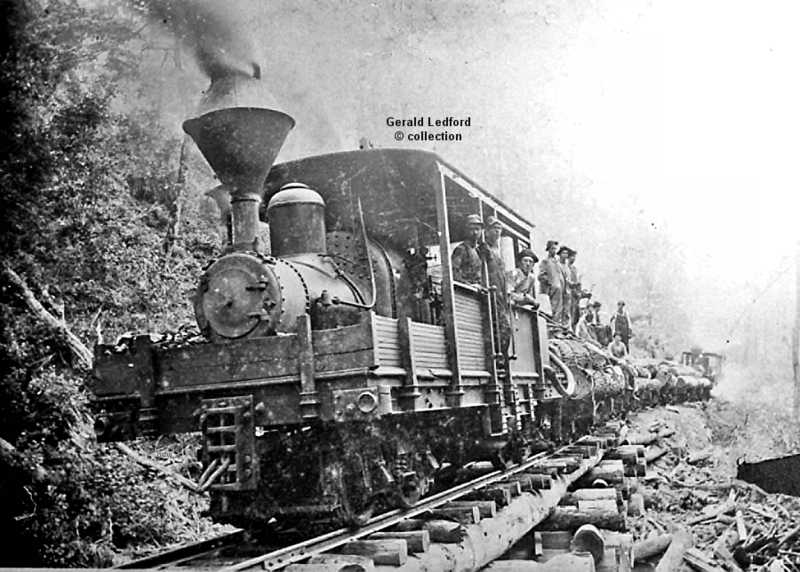 The photo is part of the Gerald Ledford collection. 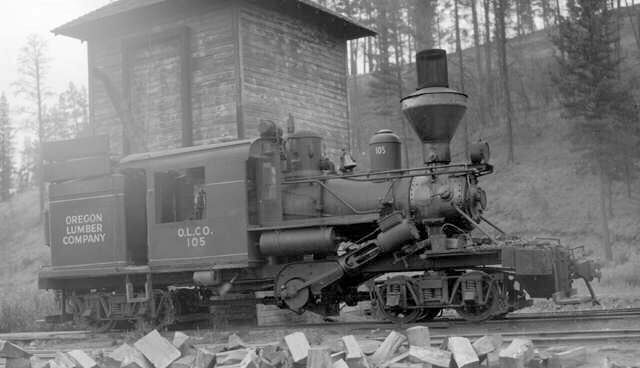 As noted below, the company operated 4 Class "A" Climax locomotives on their 36" gauge railroad near Forneys Creek, North Carolina. 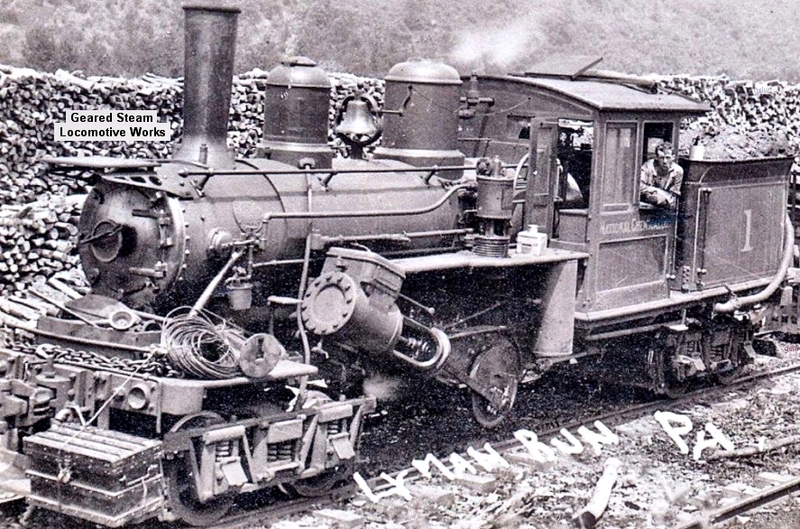 No road number was associated with the picture and none can be discerned on the locomotive's pictured surface. 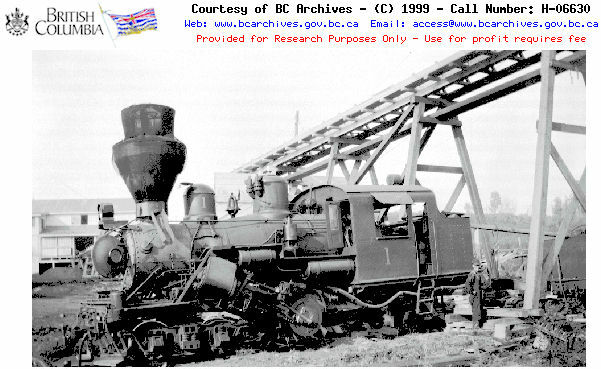 It is known that it was not their "steel framed" #4 - s/n x139. 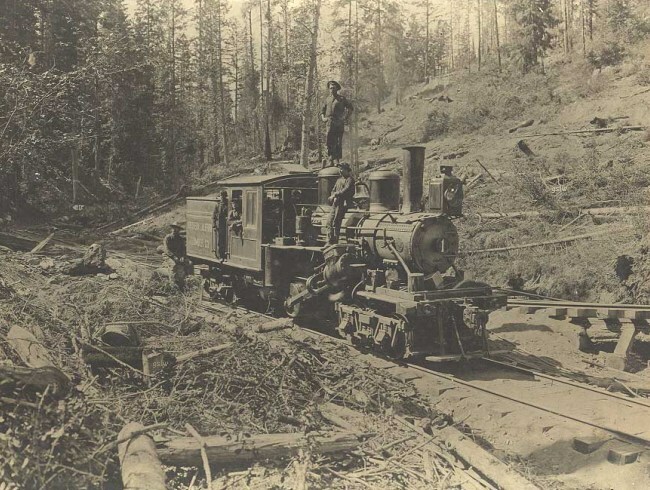 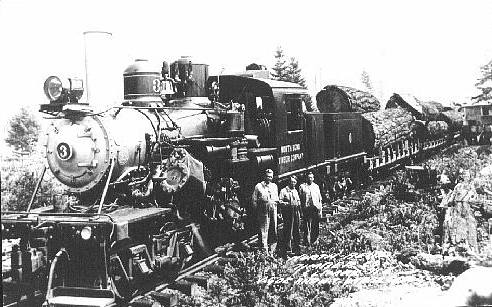 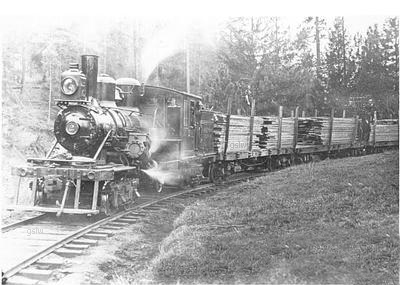 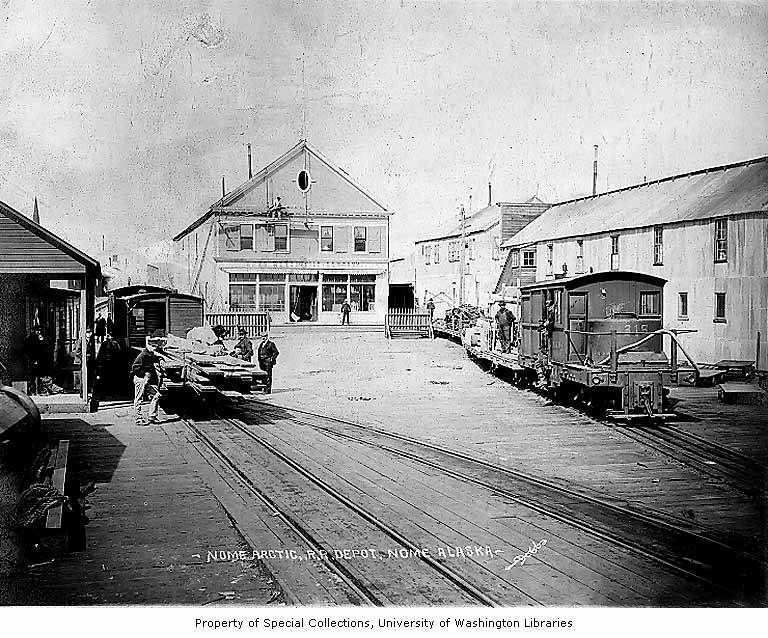 The railroad was located near Clifton, Oregon. 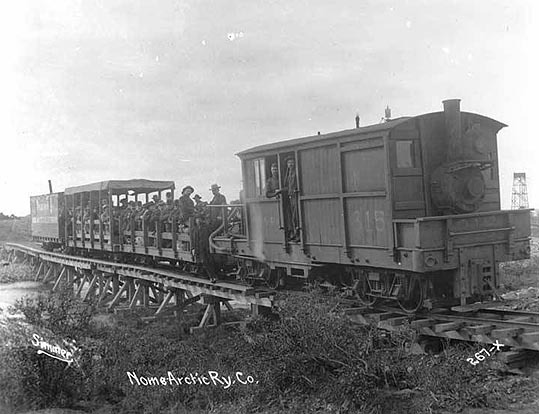 It was operated by Mann & Montgomery. 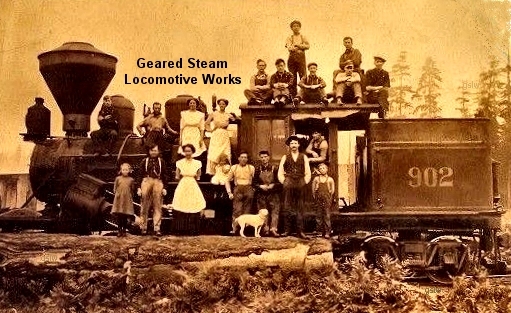 Per the picture's verbiage on the side of the locomotive cab, the locomotive was owned by N.B Bradley & Sons. 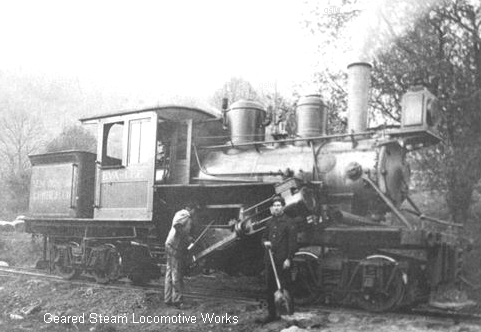 The locomotive operated near the company's Calhoun, Georgia location. 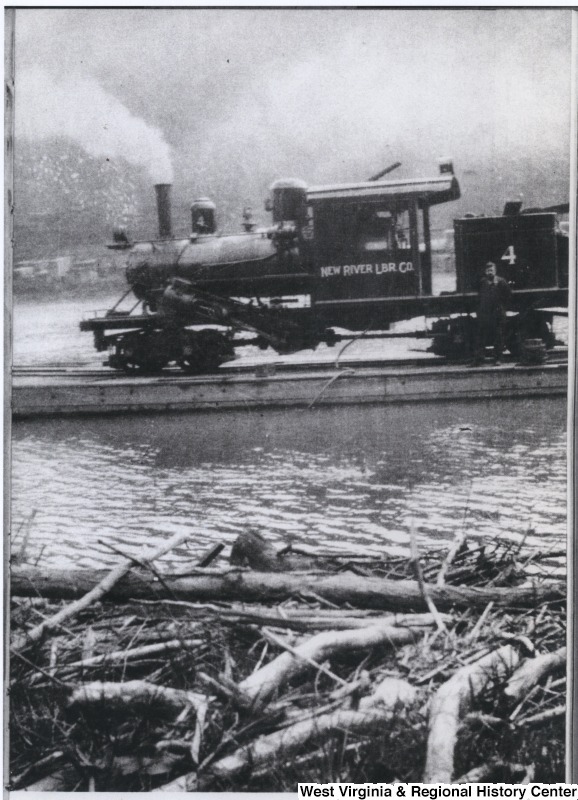 Photo on July 27, 1938 by Otto C. Perry - Copyright © 1995-1999 Denver Public Library.